Recording studios are the most insulated, intimate and privileged sites of music production and creativity. Yet in a world of intensified globalisation, they are also sites which are highly connected into wider networks of music production that are increasingly spanning the globe. 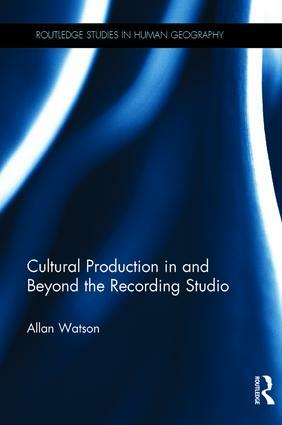 This book is the first comprehensive account of the new spatialties of cultural production in the recording studio sector of the musical economy, spatialities that illuminate the complexities of global cultural production. This unique text adopts a social-geographical perspective to capture the multiple spatial scales of music production: from opening the "black-box" of the insulated space of the recording studio; through the wider contexts in which music production is situated; to the far-flung global production networks of which recording studios are part. Drawing on original research, recent writing on cultural production across a variety of academic disciplines, secondary sources such as popular music biographies, and including a wide range of case studies, this lively and accessible text covers a range of issues including the role of technology in musical creativity; creative collaboration and emotional labour; networking and reputation; and contemporary economic challenges to studios. As a contribution to contemporary debates on creativity, cultural production and creative labour, Cultural Production in and Beyond the Recording Studio will appeal to academic students and researchers working across the social sciences, including human geography, cultural studies, media and communication studies, sociology, as well as those studying music production courses.